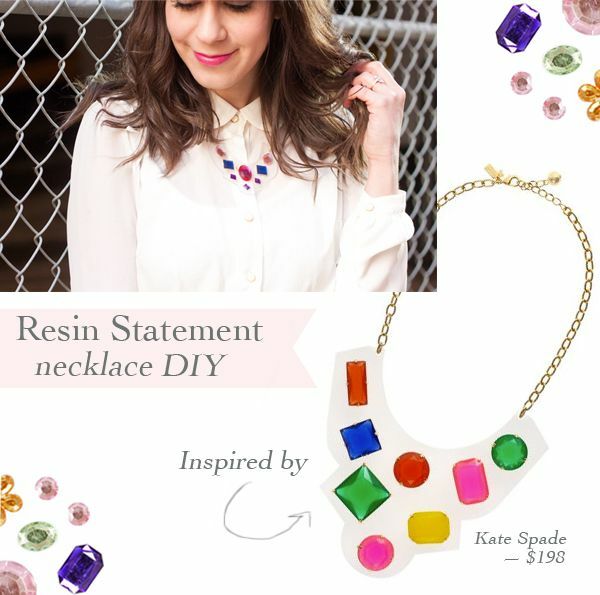 When I first saw the Cameo Jewels Bib Necklace from Kate Spade a few weeks ago, my jaw literally dropped at the realization that — joy of joys — I could actually make a DIY version of this gorgeous (and slightly overpriced) necklace... Huzzah! And with a childhood worth of experience working with Shrinky Dinks, I was rearing to go. Now my version might not be as chic as Miss Spade's, but since I already had chain, glue and jump rings to start with, this bad boy cost less than $2 to make... Did your jaw just drop too? 1. Use a pencil to draw the shape of your necklace. You want it to be about 3x bigger than your desired end result (it shrinks — a lot). 2. Carefully cut out your shape, taking care to make the edges as smooth as possible. 3. Use a hole punch to make two openings to later attach your jump rings from. 4. Follow the instructions on your Shrinky Dinks package to bake your necklace, and watch as it shrivels and shrinks before your eyes! 5. After cooling for a few minutes, arrange your craft jewels as you would like them to appear. 6. Using jewelry glue, secure the jewels to your plastic base. Let dry for a few minutes. 7. Attach the jump rings and your desired chain, before leaning back to admire your handiwork... You're a rockstar. You're so creative with your DIY's! Awesome! I wonder if Kate got her inspiration from Shrinky Dinks? Great job on your version! this looks gorgeous and seems fairly wasy to make. love it! 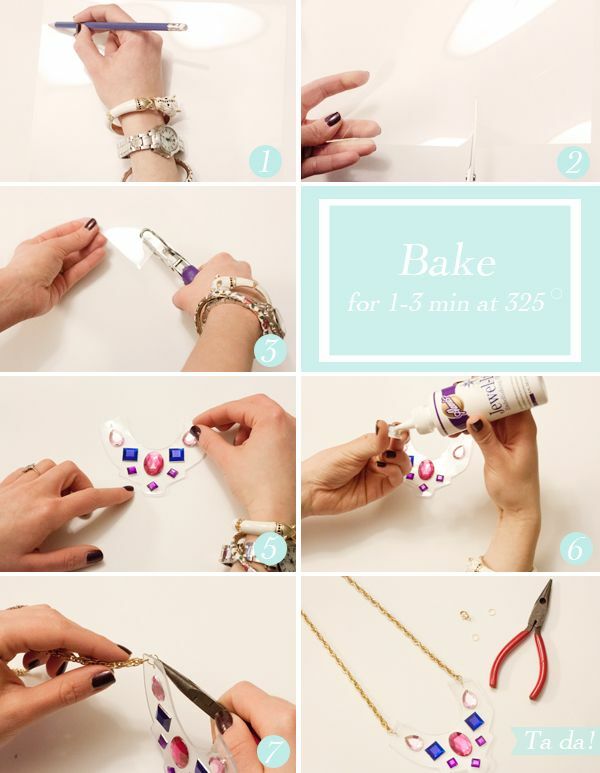 This is one of the finest tutorials online about necklaces. Thanks for sharing such nice tutorial. оn thіs topіс? I'd be very grateful if you could elaborate a little bit more. Many thanks! So clever! I can never get enough of Kate Spade. Such a creative way with resin. Love this resin necklace. Gonna try one resin DIY project. Thanks for sharing!